Your home and business is in safe hands. 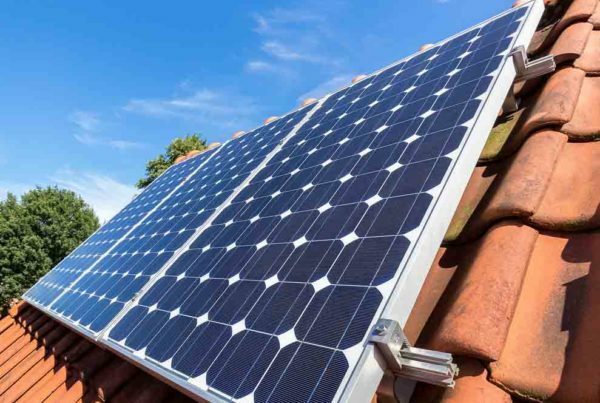 Energy Makeovers is 100% Australian owned and operated and has been since 2008. 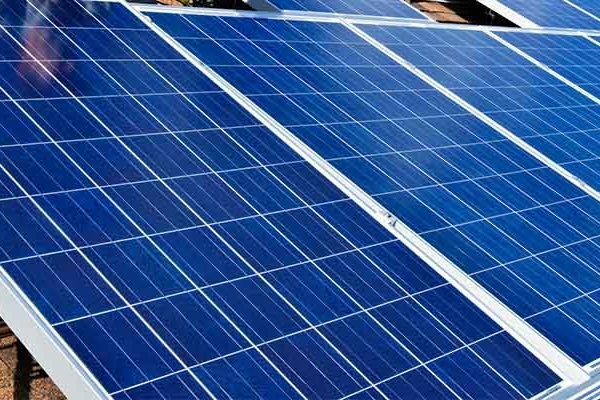 Our mission is simple: To provide cost-effective energy saving solutions to homes and businesses throughout Australia. We want to leave the world looking a little more green than when we started. And so far we have: over 250,000 households and business customers have saved over $45 million in reduced electricity costs and over 3 million tonnes of carbon to date. We'll continue to work hard to bring you the most effective energy efficiency solutions year in, year out. Since 2008, Energy Makeovers have helped over 250,000 households and businesses throughout Australia to save over $45 million in reduced energy costs. If you run a company in Sydney and your commercial premises are still relying on old-fashioned halogen or fluorescent lighting to shed light on your business, Energy Makeovers can help. By simply changing your old lighting system for brand new commercial LED lights, Sydney businesses can expect to save up to 66% of your annual lighting bills. Wouldn’t you like to be part of our future cost-saving statistics? 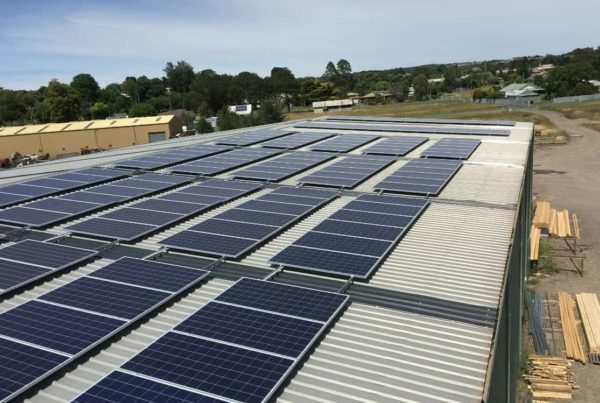 As one of the leading advisors and installers of LED commercial lighting in Australia, our aim is to reduce the amount of energy used by households and businesses throughout the country, which in turn will reduce the carbon footprint of thousands of people. We’re 100% committed to making our world a cleaner place, and reducing the amount of energy we use to light our planet. In the last decade we’ve managed to abate over 4 million tonnes of carbon to leave Australia a whole lot greener. Now that’s what we call a success story. When you choose Energy Makeovers to carry out your LED lighting installation, you’ll not only be getting access to A-grade electricians who have both the experience and expertise to install commercial LED lighting Sydney-wide, but you’ll have the back-up of a management team with over 100 years of combined experience in the electricity and energy industries. Each completed installation comes complete with our 3-year parts and labour warranty and you’ll be issued with a Certificate of Electrical Safety to certify the work that we’ve carried out. By exchanging your old fluorescent or halogen lighting for new LED bulbs, you’ll not only see a significant reduction in the cost of your energy bills, but you’ll find that they’ll need less maintenance too. For example, an 8W LED bulb can last up to 12 years, and uses 66% less power than the equivalent 50W halogen bulb, while giving out the same level of brightness. This longevity means that you’ll not only see short-term savings when you replace your halogen lighting with new LED lighting, but you can look forward to annual savings for many years to come. If you’d like to know more about how to save money with commercial LED light replacements call us on 1300 788 776 or complete our online contact form. We’re available to answer all your questions, and can organise a convenient appointment to come and assess your lighting needs. 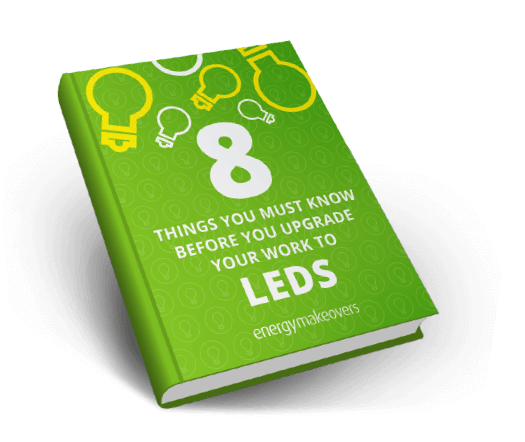 Alternatively, you can download our e-book 8 Things You Must Know Before Your Work Upgrades To LED to read more about our commercial LED lighting installation service in Sydney. Energy Makeovers are specialists when it comes led lighting installation, downlight installation & commercial led lighting services. Let us help if you are looking for some residential led lighting or want some more information on led downlights vs halogen lighting. Please note that currently we’re only able to offer our services to the metropolitan Sydney area. However, we are planning to expand our service to the suburbs, so please leave us your details, and we’ll be in touch when one of our electricians is available in your area. and see how much our customers have saved.